Justin was born and raised in Mt. Holly, NJ, and graduated from Gettysburg College with a B.A. in Business Management & Economics and from Catonsville Community College Mortuary Science Program with an A.A.S. degree. 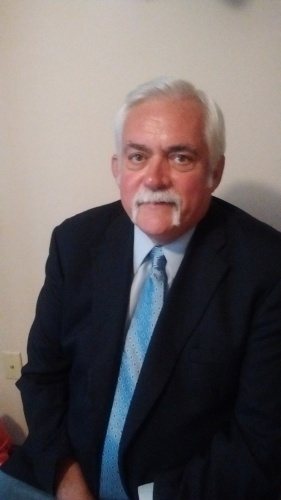 He started work in funeral service in 1992 with the Monahan Funeral Home in Gettysburg, Fairfield, and York Springs, PA, later coming to Maryland with the Eckhardt Funeral Chapel in Manchester and Owings Mills. In 2002, he joined Bob and Sue Myers at Myers Funeral Home, Westminster, and in 2003 the Myers-Durboraw Funeral Home, P.A. was formed. 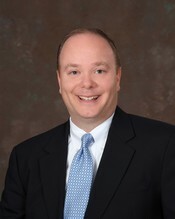 He holds his mortician/funeral director licenses in both Maryland and Pennsylvania and is a member of the National Funeral Directors Association, Maryland State Funeral Directors Association, and the Tri-County Funeral Directors Association. In 2000 Justin married the Rev. Anne C. (Rosenquist) Durboraw, Pastor of St. Luke’s (Winter’s) Lutheran Church in New Windsor, MD. The Durboraw family lives in Westminster. Justin enjoys reading mystery novels, golfing, and watching his children play baseball and softball. He is a member of St. Luke’s Lutheran Church, where he sings in the church choir, and plays in the bell choir. He is also a member of the Taneytown Lions Club, Westminster Rotary Club, and the Lutheran Men of the Westminster Conference of Lutheran Churches (President). He is a member of the Board of Trustees of the Carroll Lutheran Village. 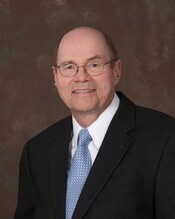 He also formerly served on the Board of Carroll Lutheran School and chaired the golf tournament committee. Born November 15, 1951 in Decatur, Illinois, Dave has resided in Maryland since 1984. He is a graduate of Millikin University and Winebrenner Theological Seminary. He earned a degree in Mortuary Science from CCBC in Catonsville in December, 2010. An ordained minister, Dave brings more than 40 years of pastoral experience to his work in funeral service. He is pastor of Carrollton Church of God in Finksburg, a position he has held since 1999. Raised in Westminster, Maryland, Robert graduated from Westminster High School, Bridgewater College, VA and Catonsville College of Mortuary Science. Starting at the age of 15, he worked with the founder of the funeral home, his uncle, John E. Myers, Jr. Receiving his Maryland mortician license in 1976, he was a partner at the then Myers-Pritts Funeral Home on Willis Street in Westminster. Wishing to expand his knowledge of funeral service, he then worked for both Wetzel Funeral Home in Hanover, PA and Peters Funeral Home in Gettysburg, PA, where he attained his Pennsylvania license. In 1984 he re-established the Myers Funeral Home in Westminster with his wife, Sueann, joining him in 1986. He is a past Consistory President, Deacon and Elder of St. Paul's United Church of Christ, a member of the Westminster Kiwanis Club and has been active in a number of Westminster City activities throughout the years. In addition, he and his wife enjoy working as event staff for the Orioles in Sarasota, FL. Perhaps his fondest love is enjoying the complexities of nature and the people who make up the community in which he lives. Bob resides in his family home on Willis Street with his wife Sue, son Jeremy and his two dachshunds, Jazz and Sadie. He has fond memories of the "old" Carroll County as well as interests in the future of the area in which he lives. 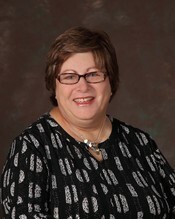 Sueann Flaherty Myers was born in Clarksburg, WV and raised in Hanover, PA, graduating from Delone Catholic High School. She joined the Myers Funeral Home with her husband, Robert, in 1986 and graduated from the Catonsville College of Mortuary Science in 1990. She is a member of St. John Catholic Church in Westminster and volunteers with several organizations, including over 30 years with Carroll Hospice. She and her husband enjoy working as event staff for the Orioles in Sarasota, FL. Sue and Robert live in the family home on Willis Street with their son, Jeremy, and their spoiled dachshunds, Jazmine and Sadie. Logan Cook was born in Waynesboro, Pennsylvania where he graduated from Waynesboro Area Senior High School in 2007. He currently resides along with his wife Laura and their two dogs "Tanner" and "Pablo" in Taneytown, Maryland. Logan is a graduate of the Mortuary Science Program at the Community College of Baltimore County in Catonsville, Maryland. He earned his degree in May of 2015, and passed the National and Maryland State Board exams. Logan has been an associate with Myers-Durboraw Funeral Home since 2013, and we welcome him to the staff in 2015 as a licensed funeral director. Michelle was born and raised in Hanover, Pennsylvania. She graduated from Thiel College, Greenville, Pennsylvania with a degree in Business Administration. In 1996, she graduated from the Pittsburgh Institute of Mortuary Science. Michelle was employed as a licensed funeral director in Pennsylvania for twenty years. 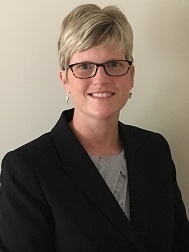 She joined Myers-Durboraw Funeral Home in 2016 as a licensed funeral director and an Advance Funeral Planner. She serves families at each of the three locations. Michelle and her husband Blane, have two sons. She enjoys spending time with her family and friends, attending sporting events and being outdoors. Stephanie McNutt was born in Baltimore, and raised in Carroll County, Maryland, where she graduated from North Carroll High School in 2001. She currently resides in Taneytown, Maryland. She enjoys hiking, camping, and kayaking with her dog “Aoife”. Stephanie has been an associate with Myers-Durboraw Funeral Home since 2015. In May of 2017, she earned her Mortuary Science A.A.S. degree from the Community College of Baltimore County in Catonsville, Maryland. She is a member of the National Funeral Directors Association, and a Certified Crematory Operator. We welcome her to the staff in 2017 as a licensed funeral director. John M. Skiles was born of February 26, 1938 in Gettysburg, Pennsylvania. His childhood was spent in Taneytown, Maryland. John was a graduate of the class of 1956 from Taneytown High School. He attended the University of Maryland, College Park. He served in the United States Army, The Maryland National Guard and the U.S Army Reserves. John then attended McAllister Institute of Embalming in New York City, graduating in 1961. He became a licensed mortician in the state of Maryland in 1962. He worked for his grandfather Merwyn C. Fuss at Fuss Funeral Home from 1962 until 1971. Together with his father John H. Skiles they individually owned and operated the Skiles Funeral Home in Taneytown from 1971-2007 and the Emmitsburg Funeral Home from 1977-2007. He sold the business to Justin R. Durboraw in September of 2007. In 1999, John married Linda Wolfe Repp, together they have five children and eight grandchildren. John and Linda reside in the village at Homewood at Plum Creek near Hanover, PA.
John is a member of the Hesson-Snider Post #120 of American Legion, Taneytown and of the Train Collectors of America. In addition to spending time with his wife and family, he enjoys golfing, reading, classical music and live theatre. Dale was born on June 11, 1947 and is a native of Carroll County. He is a graduate of Westminster Senior High, Class of 1965. He worked for 40 years at the Black & Decker, Corp and received his Bachelor of Science Degree in Business Administration from Towson State University in 1987. Dale is an active member of St. John's Evangelical Lutheran Church near Westminster. He is a resident of Carroll Lutheran Village in Westminster, MD. 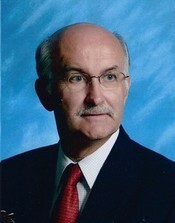 He has been associated with the Myers-Durboraw Funeral Home since October 2004. Ken Knight was born and raised in the Patapsco/Finksburg area but relocated to Taneytown and has resided at Carroll Vista since 2007. He graduated from Westminster High School in 1963 and served in the United States Army during the Vietnam conflict. 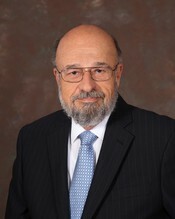 He retired from the Federal Government as an Acquisition Specialist in December 2000 with 33 years of Federal service. He is a life-long member of the Carrollton Church of God and served as Sunday School Teacher, Youth Group Leader, and Chairman of the Trustees for many years. He is currently serving as the church Treasurer. Since 1992 he has served as overseer of the Carrollton Church of God Cemetery. He is an avid Baltimore Oriole fan and worked as an usher supervisor for the Orioles for four years. 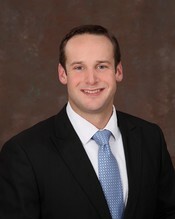 He has been employed by Myers-Durboraw as an associate since November, 2005. Fran is a lifelong resident of the Emmitsburg area graduating in 1964 from Emmitsburg High School. 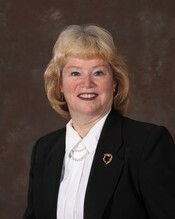 She began working for Myers-Durboraw in February 2009 after retiring from banking. She has been a member of Trinity United Methodist Church in Emmitsburg for 50+ years and continues to serve actively as the leader of the ROCK SOLID kid’s group, the M&Ms (Mature and Methodist), and is the Education Chairperson on the Church Council. Fran is an avid reader and also enjoys solving all kinds of puzzles. Gene grew up and still resides in the Emmitsburg area. He is married to Fran Eyler, who also works at the funeral home. They have one daughter and 2 grandchildren. 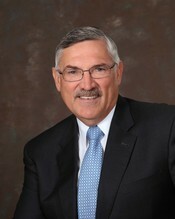 Gene retired from banking after 41 years in 2009. 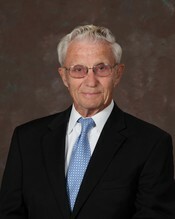 He was very active in the business community during his banking career, serving as Chairman of the Board of Directors for the Carroll County Chamber of Commerce, President of the Taneytown Chamber of Commerce, and also as a Board member for several other organizations. Gene served 6 years in the military as a member of the Pennsylvania National Guard. 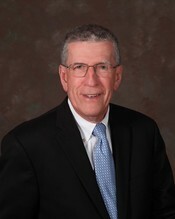 He is very active at Trinity United Methodist Church in Emmitsburg where he served as Treasurer for 44 years and is now Chairman of the Finance Committee and a Trustee. 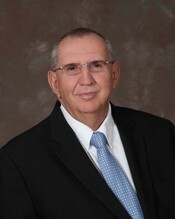 Gene has been employed with Myers-Durboraw Funeral Home since October 2009. John was born in Brooklyn, New York on October 21, 1946. He was a Lutheran Pastor for 34 years and has served as Chaplain to two Hospices, Carroll Hospice in Westminster and AseraCare Hospice in York Pa. John lives with his wife, Patricia in Gettysburg. John brings his pastoral experience and hospice experience to the funeral home and offers Celebrant services for families wishing to have a funeral or memorial which is personalized to their loved ones life. John is a Certified Celebrant who received his training and certification from the In-Sight Institute. Celebrant Services reflect the needs and desires of the family to remember their loved ones. John is available to meet with families either at their homes or at the funeral home. Bob was born and raised in Taneytown, Maryland, where he resides today with Fairy, his wife of more than 50 years. Upon graduation from Taneytown High School in 1952 Bob worked on the family farm for three years. He then enlisted in the United States Army where he served for three years. Following his time in the service, Bob was employed at Random House in Westminster for 26 years. Bob served as mayor of Taneytown for more than ten years. He has been a member of the Taneytown Lions Club for over thirty years and served as the president of the Bureau of Aging for several years. Bob’s employment with the funeral home in Taneytown began in 2003. Bob devotes much of his spare time to the town by volunteering in various tasks. Bob and Fairy have one daughter, one son and three grandsons. Doug is a lifelong resident of Emmitsburg. He is married to Patricia A. Orner with over 40 great years together. He received his MBA from Mount Saint Mary’s. Having retired from the business world as a human resource professional, he continues to serve his community through the fire/rescue service of the Vigilant Hose Company in Emmitsburg with over 45 years. Doug is an active member of Elias Lutheran Church in Emmitsburg as well. He continues to fulfill his desire to be involved in the community and surrounding areas with services through Myers-Durboraw. Doug joined Myers-Durboraw staff in 2016. Gary grew up in Baltimore City and relocated to Hampstead over 30 years ago. He has been married to Vicky K. Wilmer for 24 years. He received his BS from Towson University after serving in the Army. He is retired from the US Postal service where he was a letter carrier. Gary is very active with antique automobiles. He has several restored vehicles and enjoys driving them most weekends. Gary is an active member of Wesley United Methodist Church and Carrollton Church of God. He enjoys working and serving the community through his work at Myers-Durboraw. Gary joined the team at Myers-Durboraw in 2014.